Salesforce.com give 5,000 chatter free licenses, it is good for organisation to use Chatter for collaboration as it is free. But, adding hundreds or thousands of user as member into many Chatter group is not fun, if do it manually. You can use Data Loader to mass add member to Chatter group. 2. 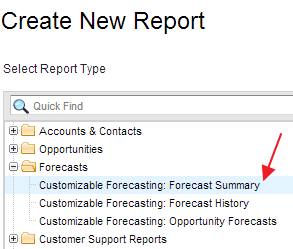 Select "Show all Salesforce objects"
3. Select "Chatter Group Member"
Sometimes we need to delete feed or comment post to Chatter, but can user (read: not system administrator) delete it? Yes, you can delete posts and comments that you made in these areas: on the Chatter feed on your profile, on records you own, and on posts and comments you’ve made in other feeds. Deleted posts or comments will disappear and you can’t restore it (from Recycle Bin). Users with the Modify All Data permission or Moderate Chatter permission can delete all posts and comments. Extra: use @username to show your post on user feed, even that people is not following you, the followers of that user will see that feed as well.